Historically, many sales tools—CRM systems in particular—have been designed to benefit managers, but require extra steps or workflow changes for reps. This has made it hard to drive adoption, and it becomes difficult for managers to achieve ROI when rep adoption is inconsistent. 1) Reps make more touches on more deals. Improving these soft-skill performance indicators is a goal for most managers. 2) Often, productivity tools track reps’ activities and success rates (such as emails sent, emails opened, dials made, etc. ), providing visibility for management into activity-based KPIs. Some solutions also include team performance analytics, aggregating activity data from a group of reps who are all using the platform. However, the impact of productivity tools on the bottom line may not be as clear to sales tech buyers in senior leadership positions, since the day-to-day benefit is experienced by end-users. While managers are not the primary beneficiaries, they will have some visibility into the impact of the tools. However, the ROI gets harder to see for the VP of Sales, Director of Sales, and other key decision makers who oversee managers and are focused on high-level reporting about the pipeline. 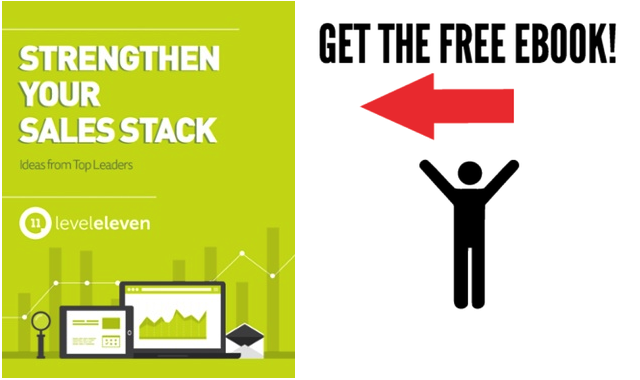 How are experts and early investors thinking about the ROI of their sales stack? ”The most important metric is our adoption of the solution. We struggled at first, but our reps love it now. We have increased efficiency due to the ease of use and flexibility. ”Compared to what other clients have used, Sage CRM increased productivity of the sales team. ”User adoption in quoting is higher than before. ”Increased sales ops efficiency: Reduces processing time allowing sales ops to concentrate on other tasks, reduces errors dramatically and faster roll-out of new plans/plan changes to the reps. Management will be happy to know they can do more with less in regards to staff. So, what should you do to prepare for successful sales tech selection and implementation? First, figure out what specific metrics and activities you hope to improve with the new technology. Having a clear internal definition of success, and syncing your goals across different levels (reps, managers and leadership), as well as with the vendor, will help you figure out what features you need and what changes to track/test to determine ROI for the tool. Once you’ve established a game plan for success, make sure your end users and their supervisors are sold on how the tool will benefit them personally. If you need to develop internal success stories to convince them, drive adoption incrementally and get your champions involved in the internal sell. You can also incentivize adoption by tying KPIs and goals to use of the tool; make reps accountable by factoring these goals into their quota or their compensation plan. Finally, incorporate tips and best practices into training/coaching sessions. According to sales development leaders like Julie Drimel of NetSuite and Andrea Hansen of Gainsight, less-seasoned roles such as SDRs and BDRs present a great opportunity for introducing new sales technology. Because they are still learning about sales methodology—and tend to be younger and more comfortable mastering new technologies—they are more likely to adopt the tools, and will champion the tools they find useful as they move up through the organization. For more information about the different types of sales technology and evaluating products with ROI in mind, read the full report on How to Navigate the Sales Technology Landscape. It includes a visual breakdown of the sales technology space by user role, stage of the sales process and feature set, as well as an in-depth discussion of market trends. How are experts and early investors thinking about the ROI of their sales stack? Read this quick guide to find out. Emily Sue Tomac is Research Analyst at TrustRadius, where she covers Marketing, Sales, and other types of business software. Her writing aims to bring buyers, experts, vendors, and end-users into transparent conversation around product features, trends, and best practices. Her most recent project, a full report on How to Navigate the Sales Technology Landscape, is available to download for free.